My dad has alway had the habit of bringing in some rather unusual tools into the shop. A few months ago he called and said wait until you see what I found. 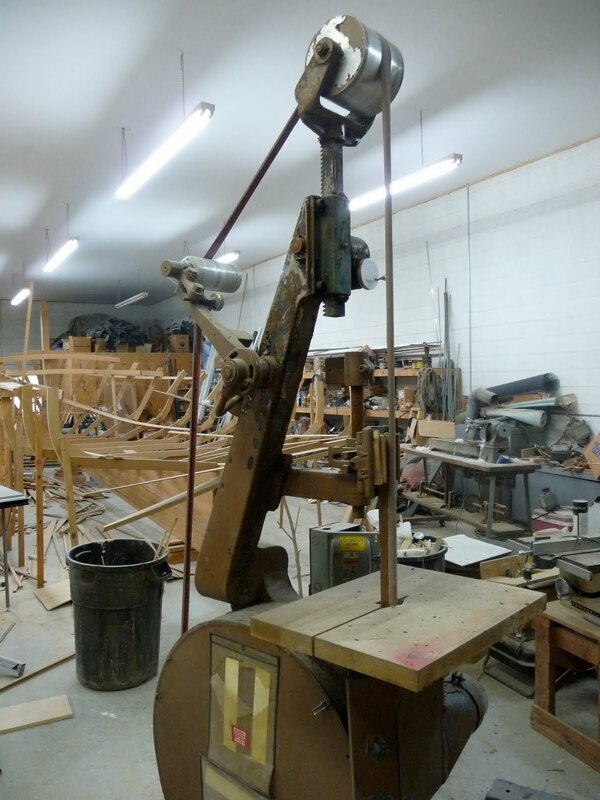 The next week I drove up to North Carolina and in the shop was a very strange looking tool….or something like that. It is a vertical belt sander made by Wysong and Miles Co. The sanding belt is less than 2″ wide but is around 15′ long! The three phase motor runs great and is very sooth. The belt can does not have to be exact in length as counter weights keep pressure so that really no adjustment is needed. The belt rest against a form that can be changed out on the table for different profiles. The advantage to the belt being so long is that very little heat builds up and the belt last longer since there is more surface for longer wear. I haven’t been able to find much information on the sander but believe it was used in furniture factory for shaping profiles. It was fitted with a wood profile covered with copper sheeting for protection. I was surprised how fast it cuts and does not black the wood from heating. That's a great looking sander. Some commercial applications have a lot of unique machinery.